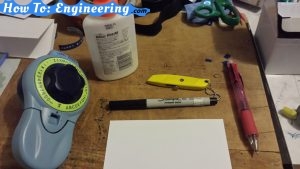 Making a super techie card is as easy as any other card. Start by labeling any words/phrases you want, My choosing was “Happy Birthday”. Make sure to give a space on each letter. I did not space it out and had to start over. 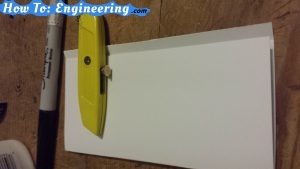 Grab your card stock and cut it rectangular, big enough for your label to fit inside. Make sure to leave an extra lip on the edge to close it up later. 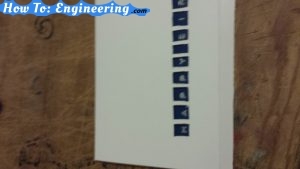 The label should go inside the folded card stock as shown in the picture. You can choose the spot where your label can go, and the position. 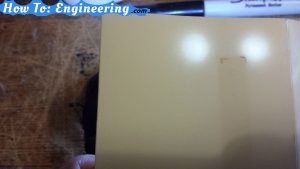 The label seen here has an adhesive backing ready to stick to the paper. 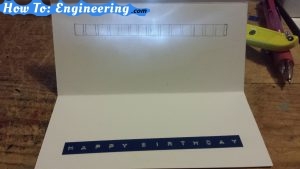 Now fold the card backwards and shine a source of light through the card stock. 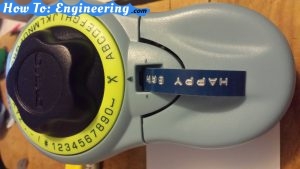 Use a pencil to mark the edges of the label as shown. Also mark where the letters start and end and the spaces. By folding the card the other way made it easy to mark the spots of every letter and the spaces. Now is time for cutting! I marked off the squares and view what needs cutting off. Cut every square off slowly. You can either leave the pencil markings or erase them but after you fold the card they will not show. Fold the card back to its place, making sure the squares line up with the letters. 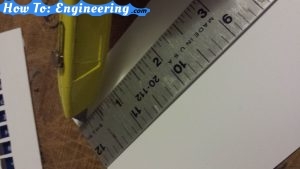 Cut off a small rectangle off the front of the card stock. This will be to easily slide another card inside making it able to grab it and not lose it. 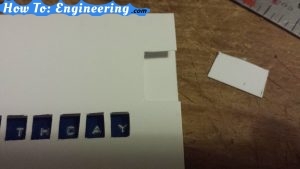 Make sure the letters are correctly aligned and you have made the rectangle cut, now you can glue the card together. Use a bead of glue all across the lip of the card and make sure it stays glued. 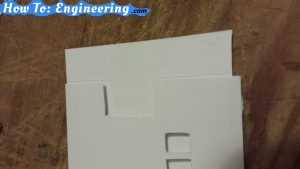 You will need another piece of card stock that will go inside the closed card. This is smaller than the card. 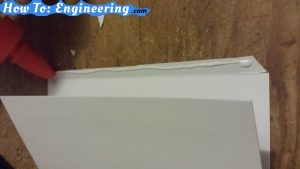 Make sure it fits nicely inside and can slide in and out without a struggle. 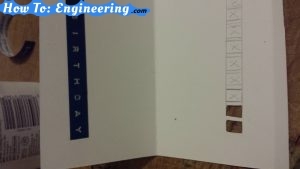 Add an arrow at the edge on the card stock that slides. Add you message inside, making sure you do not write too low that it will show on the opened squares. 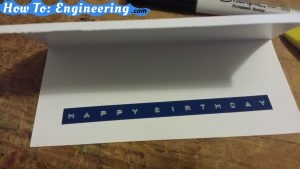 Decorate your card as if it was a screen window prompt. You can add as much details as you want. 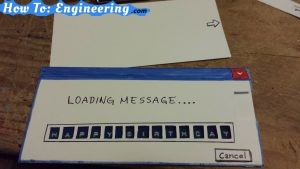 By sliding the card inside it makes it look as if the message is truly loading and it makes a nice effect. Just some extra cuts and folds, to make a different type of card. It does not need much materials and is lots of fun. This card could be a birthday card or any celebration card. Previous Previous post: Picture Frame Makeover!! Next Next post: DIY Lego USB Power bank!